It is really cool for you to insert DVD clips to PowerPoint( PPT) when you give a presentation in class or business meeting. However, the Microsoft PowerPoint provides us a “Insert” function to add pictures, music and videos in ASF, AVI, MPG and other formats into PowerPoint slide, not includes DVD VOB files. If you are looking for free ways to insert DVD clips to PowerPoint to make your presentation more attractive, just read on and this post will show you how to add DVD to PowerPoint with free tools. The only way to complete this task is to ripping DVD to PowerPoint readable video formats first. As we all know, most commercial DVDs we purchase are copy protected. So, ripping DVD to PowerPoint is not a easy task. Don’t worry! Here I find two free tools that can easily help us pull all copy protection from DVD discs, and then generate the video files we want. Now the following paragraph will give a detailed description. How to Convert DVD to PowerPoint readable Video Formats? Before using a DVD ripper to convert DVD to PowerPoint readable video formats, we need to know the supported video and audio formats of PowerPoint first. The following tablets apply to PowerPoint 2016/2013/2010 is a reference to you. Now, let’s start to rip DVD to PowerPoint with the top DVD rippers listed below. You can use either one to finish the task. The first free tool I find is Pavtube Free DVDAid (Mac version), which is a completely free DVD ripper. No adware. No virus. 100% clean. It is compatible with both Windows and Mac operating systems. With the free DVD ripper, you can quickly remove copy protection and extract main title from commercial DVD discs. It can convert all DVD discs, DVD Folder and DVD ISO images to AVI, WMV, MPG, MKV, etc. Without extra payment, you are allowed to set video/audio codec, video display ratio, bitrate, frame rate, etc. 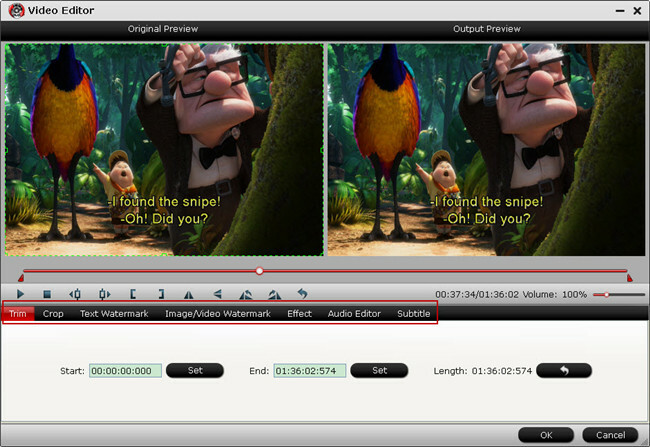 or edit your video file to extend great video experience for your PowerPoint Presentation. Just download this DVD ripper and launch it on your computer, please pay attention to select the right version (Windows or Mac) for your computer. Insert DVD into DVD-Rom, launch the Free DVDAid, and load DVD by clicking on the "Load Disc" button. You can also import DVD VIDEO_TS folder, ISO files, and IFO files into this freeware. Click “Format” bar, from its drop-down list, go to “HD Video” main category to choose “H.264 HD Video(*.mov)” for PowerPoint. 1. To achieve better video and audio playback, you could click the "Settings" button to customize output video quality like resolution, frame rate, bit rate, audio channel, etc. 2. 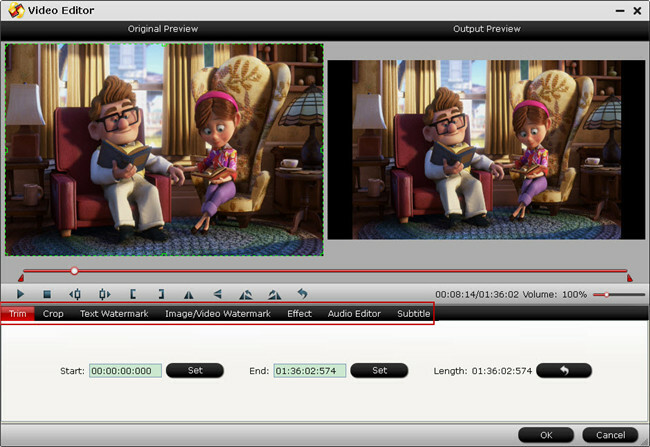 Click the “Edit” button on the main UI and edit your DVD movies before conversion. Many video editing options are available: Trim, Crop, Text Watermark, Image/Video Watermark, Effect, Audio Editor, and Subtitle. For example, the whole DVD movie is too long and you just want a clip of it. just Go to the "Trim" tab to decide where to start and where to end when converting the selected clip, so that unwanted segments will be cut out after conversion. After above settings, click the big "Convert" button to start to convert DVD to PowerPoint readable video files. Once the conversion is done, simply click the "Open output folder" button, find the created video to add to PowerPoint slide. The second free tool I found is Pavtube Free Video DVD Converter Ultimate. This is not only a DVD ripper, but also a perfect video converter. That is to say, not only DVD disc, DVD VIDEO folder, DVD IFO/ISO file can be loaded into with one click, also various videos are allowed as source file, then you can insert various video clips to your PowerPoint slide. The powerful in this DVD ripper and Video converter is to edit your video freely. For example, you can get your video trimmed for a shorter duration and cropped for a better visual enjoying. This free tool is compatible with Windows 2003/XP/Vista/Windows 7/Windows 8/Windows 8.1/Windows 10. Click ” File” button or "Add Disc" icon on the top-left of main interface to load source DVD to this software. If you have some videos downloaded from Internet or made by yourself, you can also use this free tool to make these videos compatible with PPT. Press “Format”, a drop down menu will pop up, select PowerPoint compatible "MOV-QuickTime(*.mov)" from "Common Video" category. 1. You can click "Settings" to change audio channel, change video resolution, adjust bitrate, etc. 2. 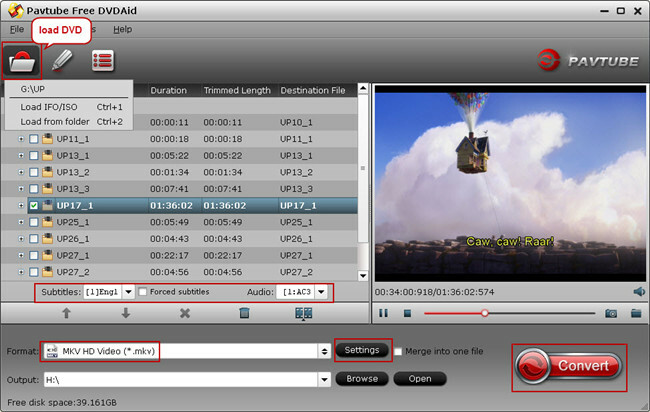 You can edit the videos according to your requirement. This step is optional and can be omitted if not needed. Click on the "Edit" button to start editing it. Finally, Click on the "Convert" button at the bottom of the screen to get PowerPoint compatible video files with highest quality and fastest speed. How to insert your converted video to PowerPoint? No matter which tool you use, you can get a perfect video file suitable for PowerPoint. After preparing the converted video file on your computer, you can follow the next steps to insert the video to PowerPoint. 1. Launch PowerPoint. Click "File" and select "Open". Locate your slideshow in the file browser window, select the item and click "Open". 2. Select the slide to which you want to add the DVD clips. Click the "Insert" tab on the application menu and select the "Video" icon. 3. Choose the "Video from File…" option from the fly-out menu to open a file browser window. Locate the ripped title, select the item and click "Open" to embed the video into the slide. 4. Click "File" and select "Save" to update the slide with the embedded video. 5. Click the "Slideshow" tab and select "From the Beginning" to view the presentation. The DVD clip plays when you reach the slide with the embedded video. Note: When you insert a video on a PowerPoint slide, the video does not become part of the presentation, you are simply setting PowerPoint to stream the media from a specific location on your computer. So, make sure that any video you embed is maintained in the same location where you originally incorporated it onto the slide. If you move it, the media becomes unlinked from the presentation, requiring you to re-embed it. Both the two free tools from Pavtube can successfully help you insert DVD clips to PowerPoint, however, they lack the ability to rip DVD to MP4, which is a more widely used video format in media streaming. If you want more output formats for personal use, you can choose to upgrade the free version. Here is a comparison chart for you to see the difference between free version and upgrade version.